Turning to me as a trusted source of honest, practical advice; the relationship I have with my clients is based on integrity. The expert guidance I give comes from a place of passion, knowledge and experience; my extensive training, and working with people of all shapes and sizes from all walks of life, has helped me hone a credible and sought-after service that delivers results and delights my clients. Happy customers who look and feel great in your designs are the best advert for your brand. Encompassing information on colour, cut, fabric, print, scale, personality, lifestyle and budget, I train in-store teams how to give useful, personalised advice to customers so they’re able to make more informed purchase decisions. Creating an engaging shopping experience where customers feel valued and listened to results in greater trust, repeat business, increased sales, fewer returns, an enhanced brand reputation and a greater advocacy. Cherry picking key pieces from collections, I use social and digital platforms to talk customers through specific styles, fabrics and cuts and highlight why and how they will work for them. My constructive recommendations ensure they make purchases they fall in love with and tell their friends about…a win-win! 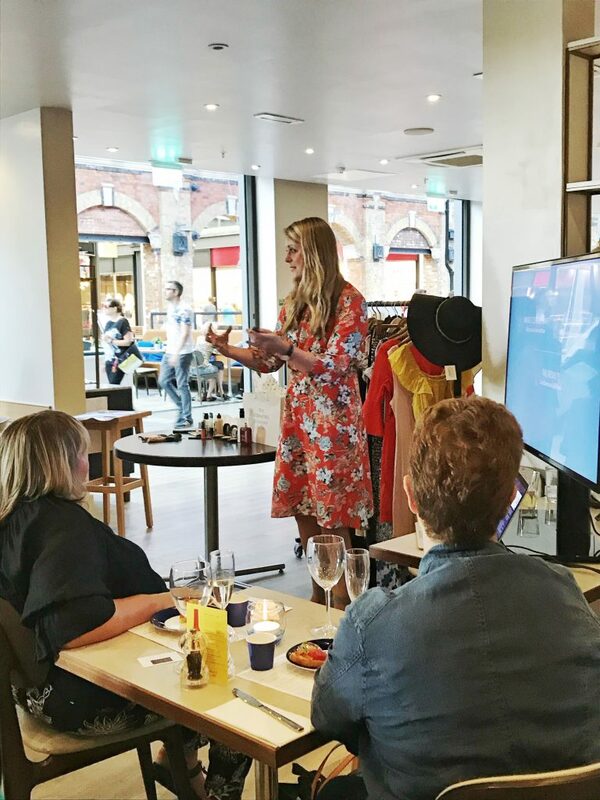 By collaborating on Brand Events I add real substance and positivity to the customer experience: working directly with shoppers to help them choose the clothes that will make them feel confident and look stylish, my guidance and advice helps to boost brand loyalty. Brands I have worked with include LK Bennet, Baukjen, Mint Velvet, Soho House and Kettlewell. If you would like any more information about the work I do with brands- do contact me. We’re huge fans of working with Kate. Her wealth of knowledge and understanding of dressing the modern woman has resulted in a highly engaged audience that truly trust her opinions. She’s a true joy to work with and always goes above and beyond!